Sean O'Connell: Sorry about the neg roll. I spilled some blood on it while self stitching a gun wound to my abdomen. 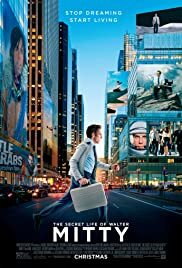 Q: Is 'The Secret Life of Walter Mitty' based on a book? Q: Is it true that there are only eight people in Nuuk? Q: Should I read the short story first, or see the film first, or just see the movie? I saw this movie on a special sneak preview event. I admit being utterly mesmerized by some of the trailers. I did really enjoy the film. It has a nice message and is definitely a feel good movie. There is nothing wrong with that. For me, this is the most beautifully looking film I've seen this year. The cinematography and camera shots were fantastic - right up there with Life of Pi and Gravity. It's definitely worth seeing on the big screen. 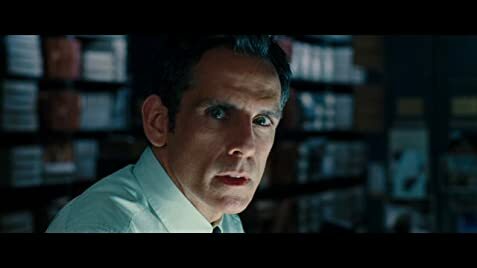 I personally enjoyed Ben Stiller in a more serious role. The film has comedic elements but everything is a bit more subtle and reflective of a man trying to find his inner courage and voice. 146 of 206 people found this review helpful. Was this review helpful to you?